Our home school program allows families to use homeschool funds at The Klub Gymnastics (TKG) and students can fulfill their Physical Education requirement. 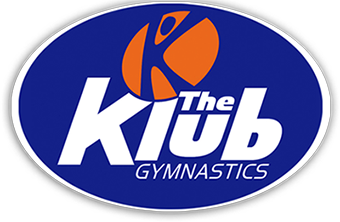 Create a profile with the The Klub Gymnastics via our parent portal. Choose a class with an available space that is appropriate for the child's age. A student is not enrolled until a guardian enrolls the student. Arrive at least 15 minutes early to your first class and check in with the Front Desk. Follow your Charter School’s protocol for receiving a voucher for TKG. TKG does not consider this voucher as a form of payment. Tuition will be charged to the credit card on file. Tuition is charged on the 25th of the month for the following month. Once a check with your tuition amount has been received by TKG from your Charter School, TKG will communicate this to the family. The family will have two options- Receive a refund on the credit card on file or apply the credit to the account for future tuition. On average, TKG will receive a check from a charter school 5-8 weeks after an invoice is submitted by TKG. TKG will reach out to the family once a check is received. Please call your charter school if there are any questions regarding the status of your check. Sibling Discount- 10% off sibling's tuition (lowest priced). The discount may only be applied if both students are enrolled in the same month. If a student is absent from class, the parent has 60 days from the day of the absence to schedule a make up class. Make up classes may be done with other instructors, on separate days and times. It is required that the student be currently active and the family's account be in good standing in order to schedule make ups. TKG requires that we receive a WITHDRAWAL FORM by the 20th of the month to be removed from automatic payment for the following month. Please see our POLICIES PAGE for more details. Prices and Home School enrollment process is subject to change.